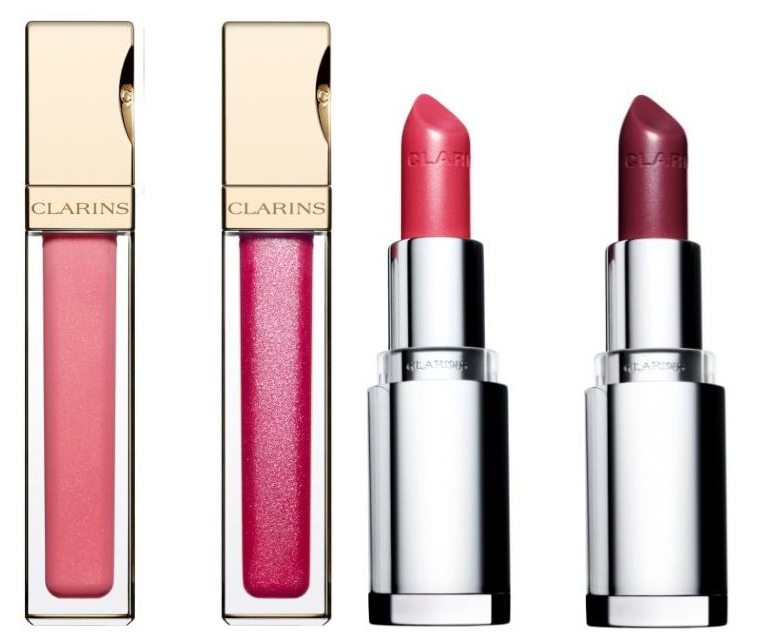 Clarin’s Rouge Eclat makeup collection for Spring 2013 was inspired by the iris flower. And, according to the brand, you can re-create “indigo eyes from Mary Katrantzou, immaculate blushed skin from Valentino or the delicate pink lip at John Richmond” with this collection. This palette with an Iris pattern sand trio of shades should even out the skin tone and make it look more even and radiant. Shimmering mineral eye shadows with an Iris pattern. Taupe, intense plum, black liner and white highlighter. These offer a deep moisturising, creamy soft texture with long lasting colour. They have a sheer finish. This collection will be available from January 2013. I personally really love the light pink lip gloss and the Watermelon lipstick, those should be very refreshing colours. Also, the model’s makeup is beautiful. 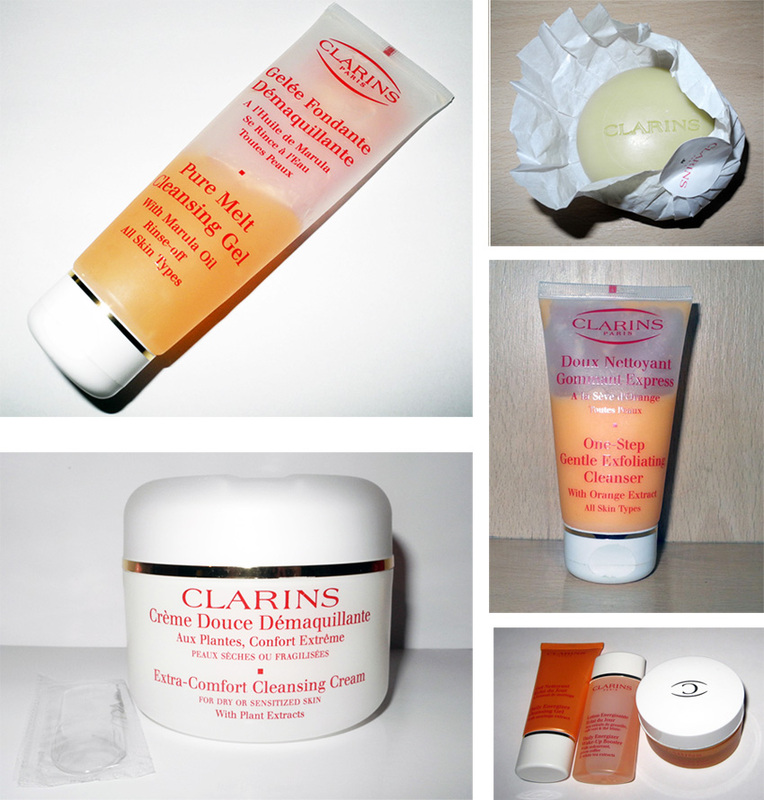 I have been loving Clarins promo images for years now, they are some of the best, in my opinion. 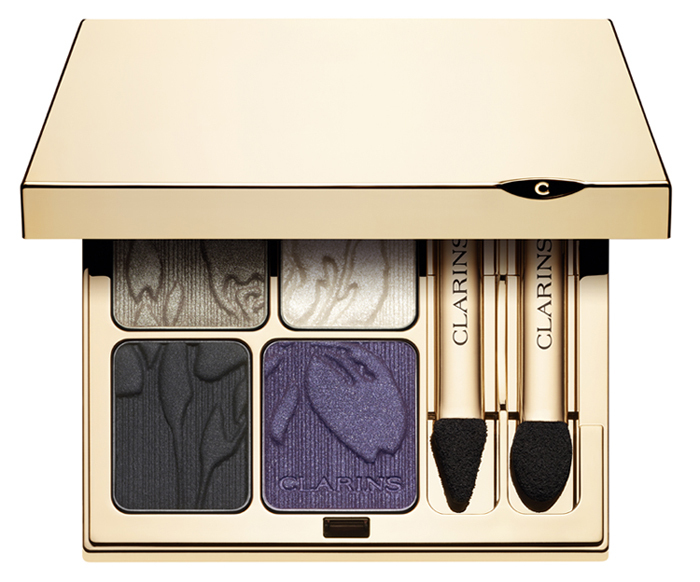 Clarins know how to make a pretty palette, right?